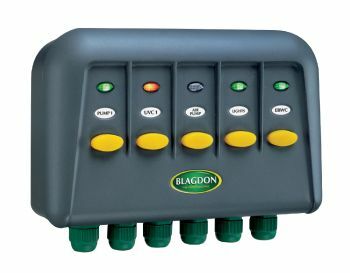 The Powersafe 5 Way Weatherproof Switch Box is ideal for connecting outdoor electrical devices such as garden or underwater lighting, pond pumps, filters, UV Clarifiers or to supply power to a garden shed or garage. 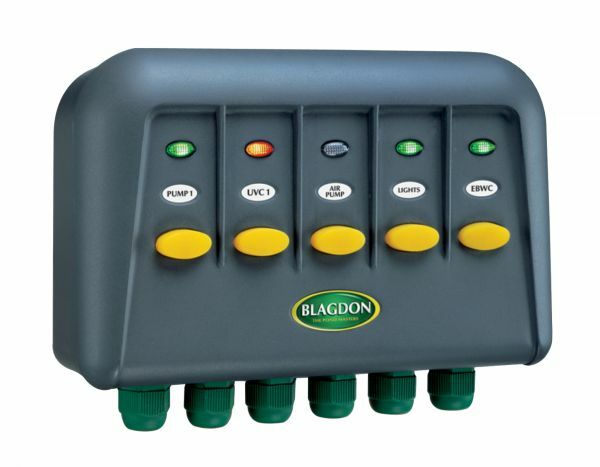 Each of the 5 fused outlets can be used to individually switch outdoor electrical items on or off, which is perfect for garden or pond lighting and also allows decorative water features to be controlled whilst the pond filter system is left on (a pond filter and pump should be left running constantly). Individually fused outlets for 1 x 1000 watts and 4 x 300 watts each. Supplied with pre-marked stickers for commonly used pond items. Supplied with wall/post mounting plate and fixings.